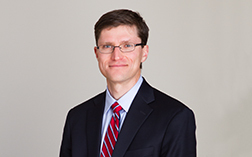 Matthew Munson is a director with Betts Patterson & Mines, where his practice emphasizes insurance defense and insurance coverage matters. Before joining BPM, Matthew was a shareholder at Thorsrud Cane & Paulich, a firm that focused on litigation and trial work for insurance carriers, their insureds, and for commercial and business clients. He was named a Washington State “Rising Star” for 2009–2011 by Super Lawyers. Matthew earned his B.A. from Pomona College in 1998 and his J.D., with honors, from University of Washington in 2001, where he was a Managing Editor of the Washington Law Review. Defended an insurer in a dispute with an insured health-care management-services organization regarding coverage for the investigation of alleged Medicare and Medicaid fraud. The insured sought substantial fees and costs it had incurred in defending and settling claims against it under the federal False Claims Act. The insured also alleged bad faith and violation of the Consumer Protection Act and the Insurance Fair Conduct Act. The Western District of Washington granted summary judgment to our client because the insured’s submission of medical billing was not a professional service, the alleged fraud was intentional, and the insured’s acts came within a dishonesty exclusion. MSO Washington, Inc. v. RSUI Grp., Inc., 2013 WL 1914482 (W.D. Wash. May 8, 2013). Represented a developer and a general contractor against a claim by a landowner that his apartment building was severely damaged by our clients’ construction of a neighboring high-rise assisted living facility. Obtained summary judgment dismissal of claims for negligence, trespass, nuisance, and loss of lateral support. Division One of the Washington Court of Appeals affirmed, concluding that plaintiff lacked evidence to establish elements of each of his claims. Evarone v. Lease Crutcher Lewis, 167 Wn. App. 1009 (2012). Represented an insurer in a case involving a claim for underinsured motorist coverage. The plaintiff alleged that her son, who had been struck by a car while skateboarding, was entitled to coverage as a member of her family, though he did not meet the policy’s definition of “insured.” The Kitsap County Superior Court granted summary judgment to our client, and Division Two of the Court of Appeals affirmed. It reasoned that an insurer is entitled to define the scope of who is insured, and that case law prohibiting exclusions based on family membership were inapposite. Helgeson v. Viking Ins. Co. of Wisconsin, 164 Wn. App. 1015 (2011). Defended a general contractor against a claim that it had breached a contract to build two cold-storage warehouses. The warehouses, which had been built in 1997, were severely damaged in a 2003 windstorm. The Yakima County Superior Court granted summary judgment, finding that the claims were barred by the statute of repose. Division Three of the Washington Court of Appeals affirmed. Roy Farms, Inc. v. F & M Const. Co., 154 Wn. App. 1011 (2010). Defended a contractor in a construction-defect matter. The plaintiff owner alleged that the clients’ remodeling work was defective and that it had caused a substantial decline in the value of the plaintiff’s property. We obtained dismissal on summary judgment of some claims against the insured. Later, an arbitrator awarded the plaintiff zero dollars in damages. Represented a Danish seafood exporter in a federal admiralty case alleging the plaintiff was severely burned while working on a crab-processing vessel in the Barents Sea. After we filed a summary judgment motion on personal-jurisdiction grounds, as well as the viability of plaintiff’s maintenance and cure, seaworthiness, and Jones Act claims, the case settled on terms favorable to the client.